Author’s Note: Please excuse this belated and partially off-topic post; I’ve written these comments because I feel it is important to highlight the conduct of Ram Realty and to present the best available facts concerning the potential development of Coral Reef Commons site. In May 2015 Ram Realty filed a lengthy Habitat Conservation Plan (HCP) with the US Fish & Wildlife Service (USFWS) for the development of Coral Reef Commons (CRC). In a press release Ram claimed the HCP, prepared by Johnson Engineering Inc., is a “science-based document” despite the fact that this document contains grievous misrepresentations of the facts. Below I’ve responded to Ram’s most egregious claims, chiefly the present state of the site and the impacts of the development. No Take of Listed Species? This “no take” scenario is absolutely impossible; almost half (48%) of the site is globally imperiled pine rocklands and a majority of the property is USFWS designated critical habitat for four endangered species. Despite their protestations to the contrary Ram’s HCP explicitly calls for the destruction of endangered plants and the host plant for two endangered butterflies. Ram purposefully inflates the percentage of degraded lands by including three “new” areas of “pine rocklands” in their figures to inflate the amount of degraded lands (Fig 1). Yes, these degraded lands once were rocklands but presently do not meet the criteria used by the independent surveyors and scientists. 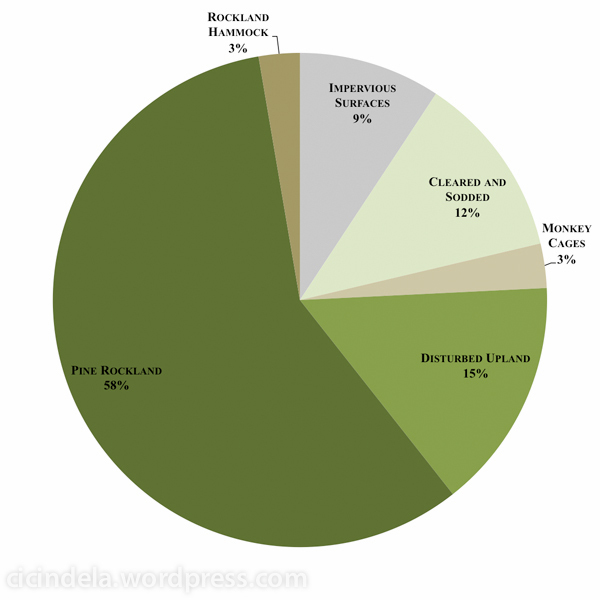 In reality a minority (~47%) of the CRC pine rocklands are degraded (IRC). Fig 1. 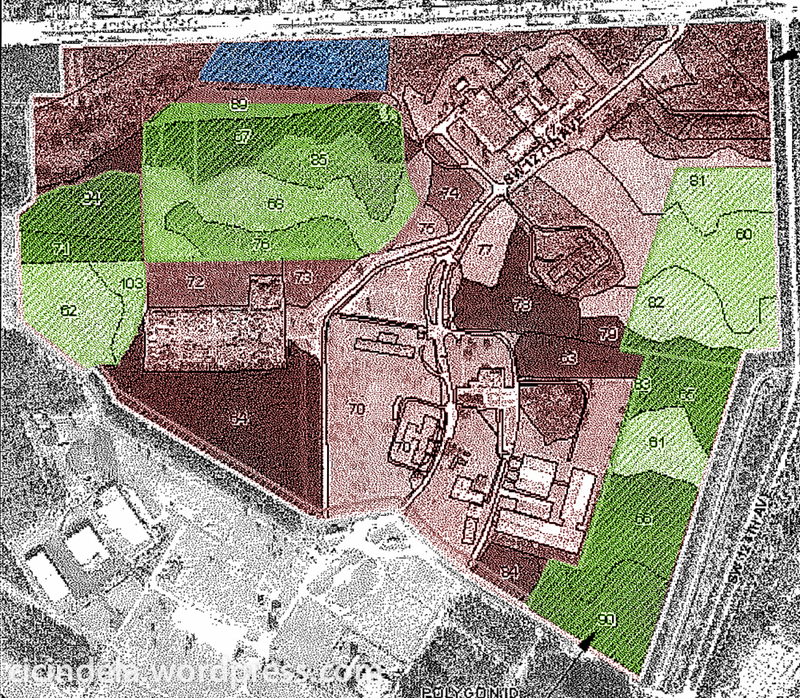 CRC land use; pine rocklands (dark green), Ram’s “pine rocklands” (yellow), development (red). Ram Realty Services closed today on the acquisition of 80 acres of land for the first phase of the [Coral Reef Commons] development, which will include 408 luxury garden apartments and 250,000 square feet of retail and restaurants. Wells Fargo is providing financing for this $120 million initial phase. 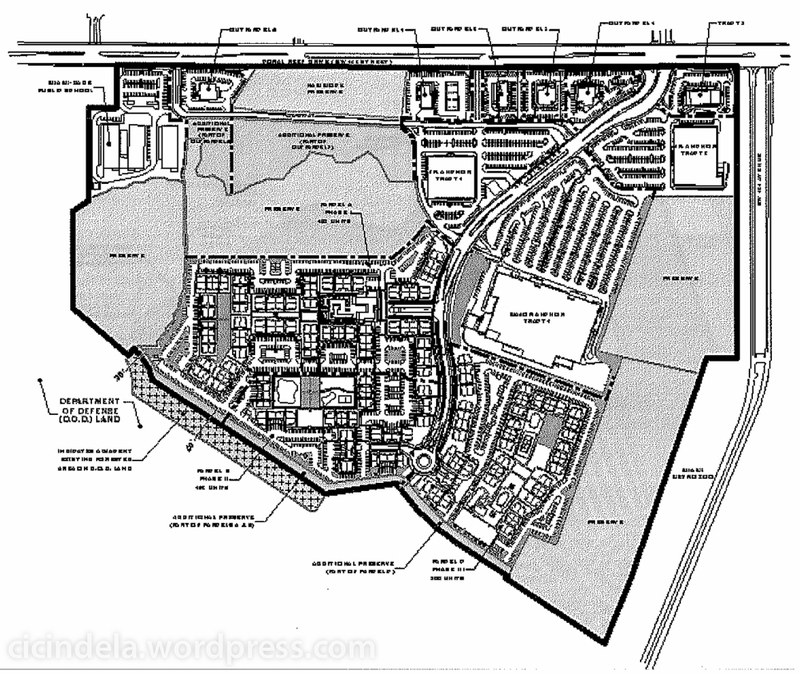 Future phases will see the development grow to 125 acres [91% of the property developed]. Not surprisingly this post has been removed from Ram’s website. These conflicting statements on the purpose of CRC development again illustrate Ram’s willingness to skew the nature, scope, and facts of the impending development. 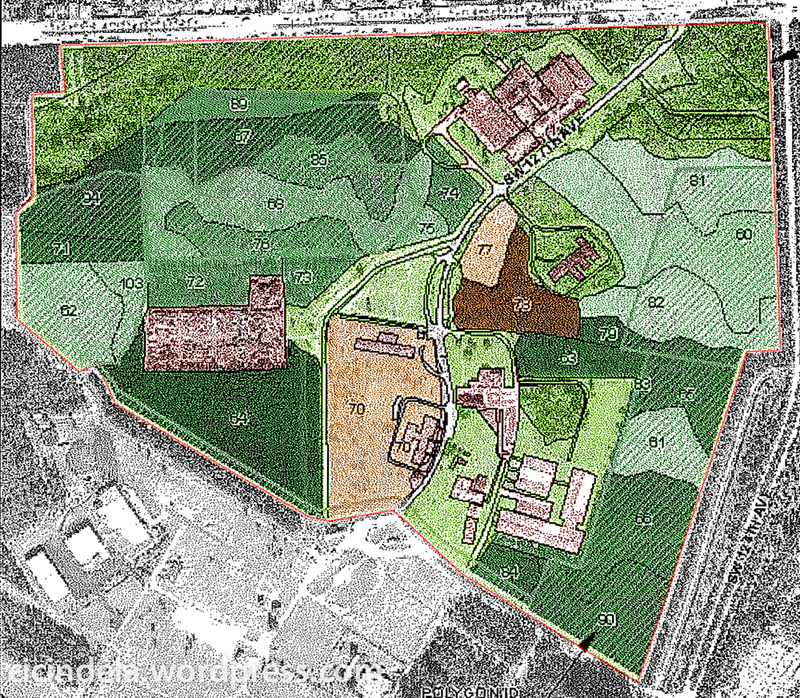 The majority of development, 53.35 acres of the 86.35 acres (~60%), will consist of the redevelopment of previously developed areas and disturbed uplands. This is ridiculous; only 12% of the CRC site is significantly developed (Fig 2), according to Ram’s own figures: 12.8 acres of impervious surfaces + 4 acres of animal cage structures (Ram 28). 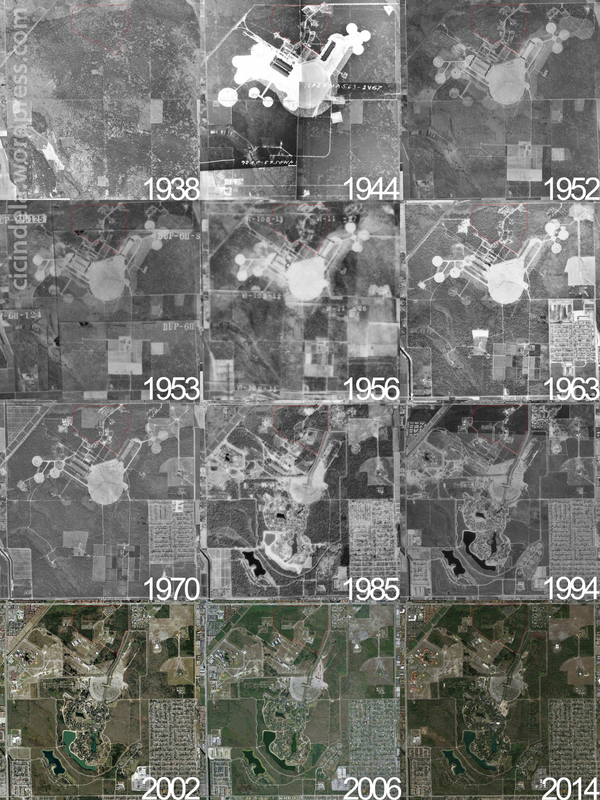 The remaining areas, “disturbed uplands,” are green spaces modified to various extents, from mechanical scraping to overgrowth by exotic species. Fig 2. Present CRC land use/vegetative cover. This is not heavy or extensive development and certainly does not mean these areas cannot be restored to their former rockland state. The pine rocklands pictured below (Fig 3) regrew from the similarly scraped limestone surroundings of Richmond Naval Air Station’s blimp mooring pads (See my post here for more information). While subjected to fire suppression, human disturbances, and neglect the CRC site has not been significantly developed (only 12% of the property). From 1938 to the present all significant development has remained virtually within the footprint of the 1942-1944 military developments (Fig 4). The human footprint on this property is evident over the last 70 or more years. Yes, a minority of the site does show the impact of human mismanagement and development but it is not irreparable. In contrast the historically altered areas around Zoo Miami today are home to some of the best pine rockland habitat, thanks to proper management. Ram’s use of “portions” is, at best, purposefully misstating the facts; a majority of CRC, 65% (90.2 acres), is Bartram’s scrub-hairstreak butterfly and Florida leafwing butterfly critical habitat (Ram 42, 50). A further overlapping 104 acres (75%) of CRC is designated critical habitat for two plants, Florida brickell-bush and Carter’s small flowered flax (Fig 5). By the numbers in the HCP Ram proposes the development of ~43% of the butterflies’ and ~50% of the plants’ USFWS designated critical habitat. I’ve color-coded Ram’s map of CRC land use; you can see the significant tracts of pine rocklands (dark green) present on the site (Fig 6). The degraded areas which Ram terms “pine rocklands” (yellow) are centrally located and coincide with the limited areas of development on the site (red). Fig 6. Current CRC land use; pine rocklands (dark green), Ram’s “pine rocklands” (yellow), development (red). Based on the information in this HCP Ram has not conducted adequate biological surveys on the CRC property. Surveys for Bartram’s scrub-hairstreak butterfly only took place in September and October of 2014. While the Florida bonneted bat (FBB) breeding season is June through September (Ram 45), Ram conducted acustic surveys in August and September 2014 . Just a few days were spent on botanical inventories of the whole CRC property (September 26/27/28, October 10, and November 4, 2014) (Ram 40). These limited surveys do not provide adequate data on the species which may occur in CRC. At a minimum Ram must conduct surveys throughout a target species’ activity period, not the final month(s). Ram’s HCP clearly states that listed species will taken (killed) and severely impacted. In the construction of CRC several tiny polygala, a Federally listed plant, will be destroyed. 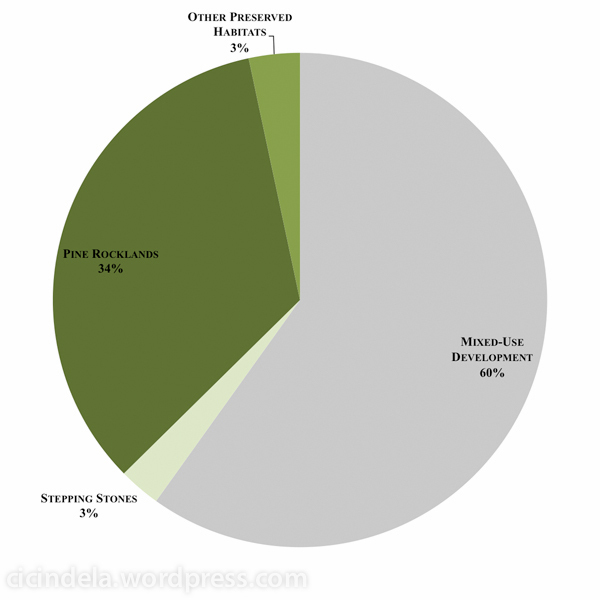 CRC development will also destroy 41% (133 plants) of the site’s pineland croton (Ram 43). Pineland croton is the host plant for two Federally listed butterflies, Bartram’s scrub-hairstreak butterfly (BSHB) and Florida leafwing butterfly. While Ram does claim an eventual increase in pineland croton through managed plantings, it is doubtful that the construction and required amount of time would be survivable for BSHB in the absence of significant amounts (41%) of its host plant, representing a highly likelihood of take [killing] for another listed species. 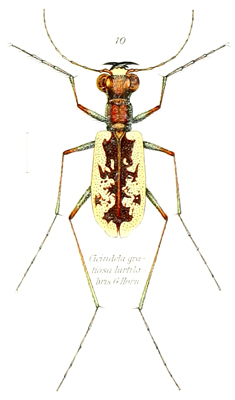 [No Miami tiger beetles] were documented within the CRC during surveys. Ram Coral Reef also objects to characterization of the CRC property as suitable habitat for the Miami tiger beetle. It is unknown if the Miami tiger beetle occurs on the proposed development site, as only one limited survey has been conducted on a small portion (approximately 1.7 ha (4.3 ac)) of the proposed development area and more surveys are needed. This single CRC survey took place in a highly neglected area; there are numerous areas on the CRC aerial images which appear far more suitable. Both University of Miami and Ram Realty have blocked scientists, including myself, from conducting surveys on the property. On January 14, 2015 and February 27, 2015, Ram Coral Reef filed a Technical and Legal Submittal regarding the emergency petition and a supplemental response Appendix E.
… Ram Coral Reef submitted formal comments to the USFWS raising concerns regarding the listing of the so-called MTB, including taxonomy concerns. 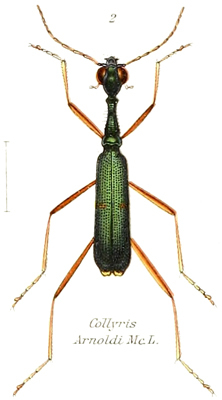 In moving forward with this HCP and including the MTB, Ram Coral Reef retains all rights to contest the potential listing of the Miami tiger beetle. 10. 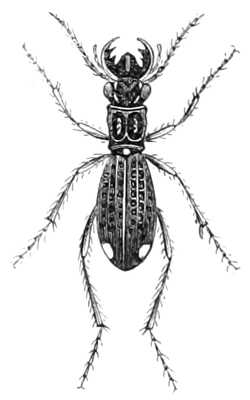 Is the Miami tiger beetle a separate species …? MDC’s §24-49.2 Code of Ordinance… regulates the development of areas designated as [natural forest communities (NFC)]. Under this preferred alternative Ram’s “enlarged” preserves are only 16% greater than before and just 23% greater than the minimum legally required (Ram 83, 85). Ram is not compromising; they retain 92% of the development area, reduce commercial square footage by only 22%, and the number of residential units remains unchanged (Ram 85). These functional assessments are not peer-reviewed and have not been utilized by the broader scientific community. They require independent review and testing before Ram can honestly make qualitative claims about the CRC habitats. With the range of metro Miami-Dade pine rocklands reduced by over 98% and the remaining habitat severely fragmented, the possibility for any genetic flow is highly restricted already. By further isolating and confining species into two separate “preserves,” with virtually no ability of movement in or out, no amount of habitat restoration will remedy this lack of genetic diversity, thus stifling long-term population viability. Ram’s proposed development will destroy 41-45% the site’s pine rocklands, a globally imperiled habitat. That’s an F for this objective. The amount of “preserved” habitat which will be lost to mowed or masticated firebreaks is not accounted for in the proposed preserves areas and will mean yet more habitat loss, habitat fragmentation, and potential “take” of imperiled species. In this document Ram does not present a cohesive plan or adequate prevention measures to counteract water run-off into from the imperious surfaces which will cover a majority of the property. With the abundance of rainfall in south Florida any water run-off into the preserves can have severe disruptive consequences, both through physical damage to the area and through contamination. Contrary to Ram’s repeated insistence, the Coral Reef Commons site and its pine rocklands are not beyond restoration. Developing almost two-thirds (~60%) of the site is not the answer. With adequate management and protection from any further development these globally imperiled forests can be restored. 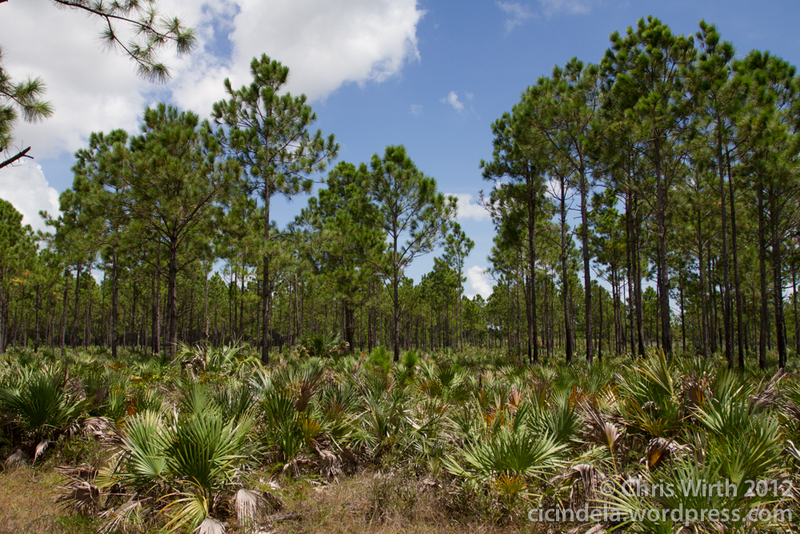 Let’s save this irreplaceable piece of Florida’s natural history, not pave it. Ram Realty’s Habitat Conservation Plan (May 2015). Available here. This entry was posted on January 10, 2016 by chris wirth. 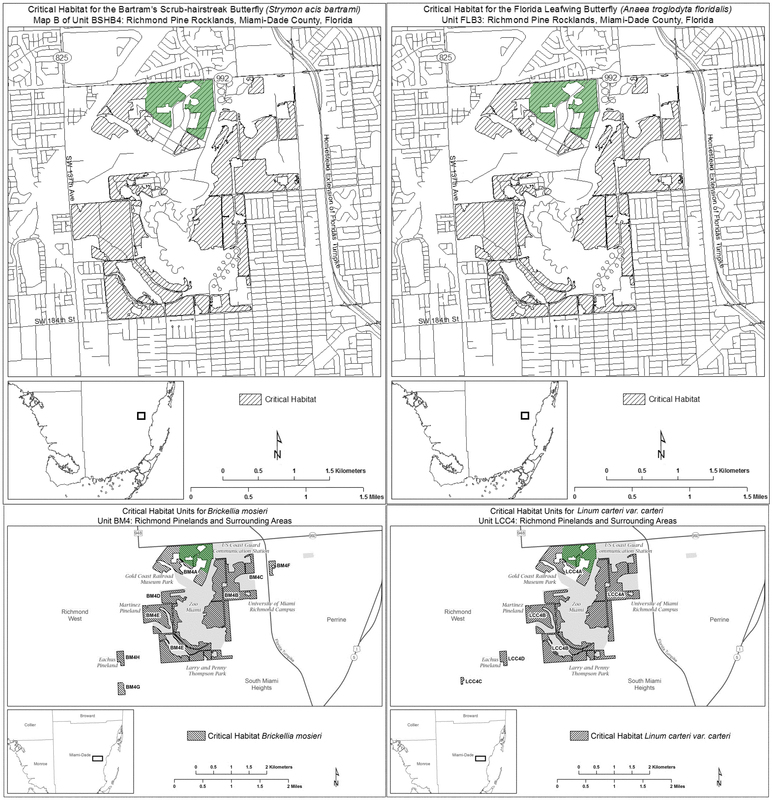 It was filed under conservation, news and was tagged with conservation, Coral Reef Commons, development, habitat, miami tiger beetle, pine rockland, Ram Realty.